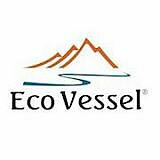 Ecovessel’s 600ml Triple Insulated Stainless Steel BOULDER water bottle uses Ecovessel’s TriMax® triple insulation technology so the bottle has been vacuum insulated and tested to keep liquid cold for up to 36 hours and hot for up to 8 hours so this is an awesome bottle for a long day out – whether at work or play. Its dual function lid has a wide enough mouth to easily accommodate ice cubes AND a convenient, comfortable drinking spout. A removable ice dam or tea strainer is included. 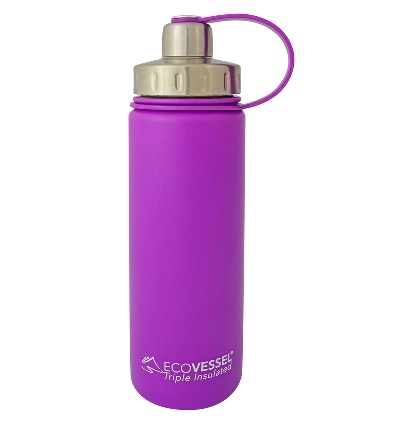 The 600ml bottle size is an ideal smaller size for work-outs, walks, beach time, and generally on the go. CARE: Hand wash with warm soapy water. Vinegar and baking soda may be used for a more thorough clean.